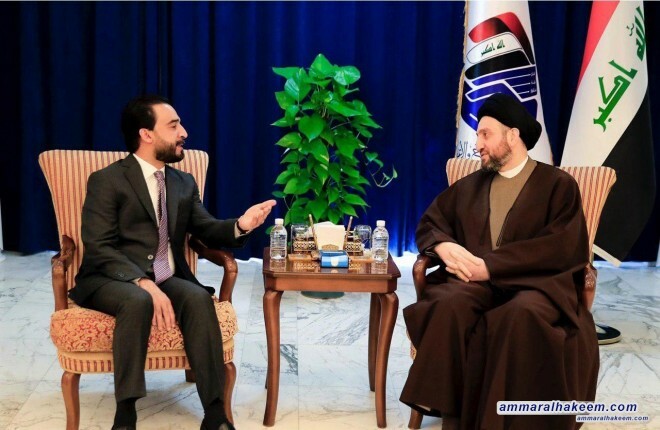 His eminence with Halbousi discussed latest political situation and completing the government cabinet, stressed on the rejecting foreign presence on Iraqi territory, especially land combatant forces and military bases, and stressed to strengthen the government's position and vision towards the need for such a presence. His eminence called for concerted efforts of all to complete the government cabinet by appointing competent ministers who are characterized by integrity, competence and management capacity. 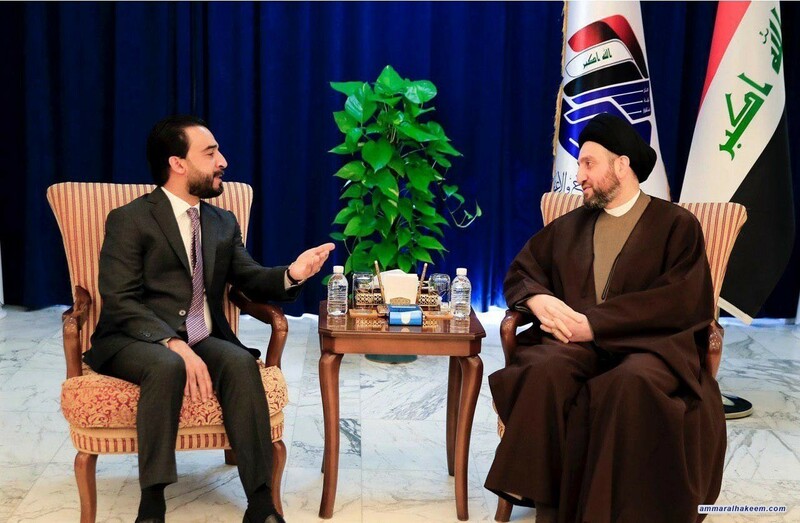 His eminence renewed his call for a political blocs meeting to end the political stalemate related to a number of details, stressed the need to carry out priorities of Iraq which require political calmness and stability.